House is no longer standing. No houses on that side of Girard Ave. remain, an apartment complex is there now. The exposure on this postcard is very faint. There are two boys sitting on the front porch. 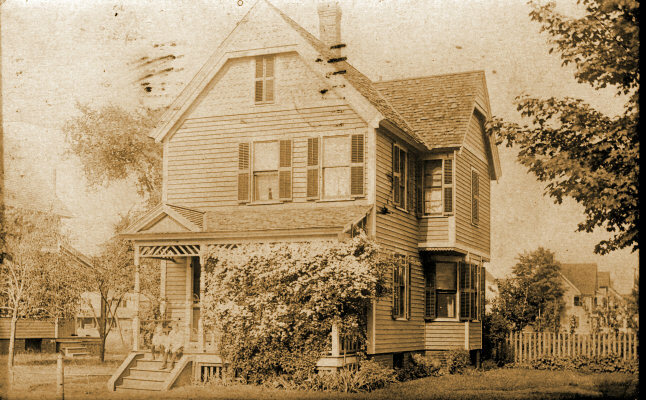 Philip R. Page lived at 83 Girard Ave. in 1910. The house matches the WPA photo from 1939. Dec 2nd. Dear sister. Just a line to say we are getting along fine and I will be up on the 9th. I have not heard a word from dear Sophia but no news is good news. With love to all I remain always your loving brother. P.R. Page.